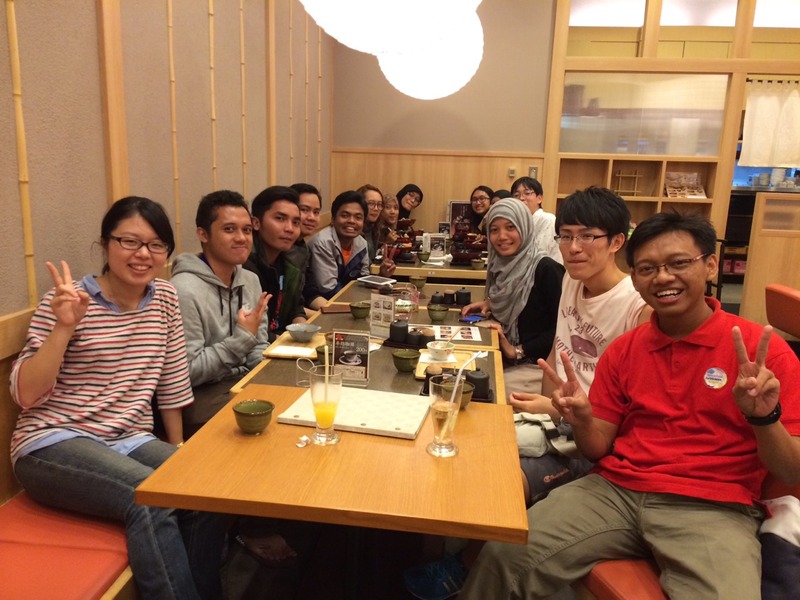 First Day in Hokkaido, Japan | PARE MEMBERS' CHAT ROOM! "Finally, I am in Japan :D ". That is the first statement of me that I shout when I arrived in this sakura country. In this post, I would like to introduce myself. 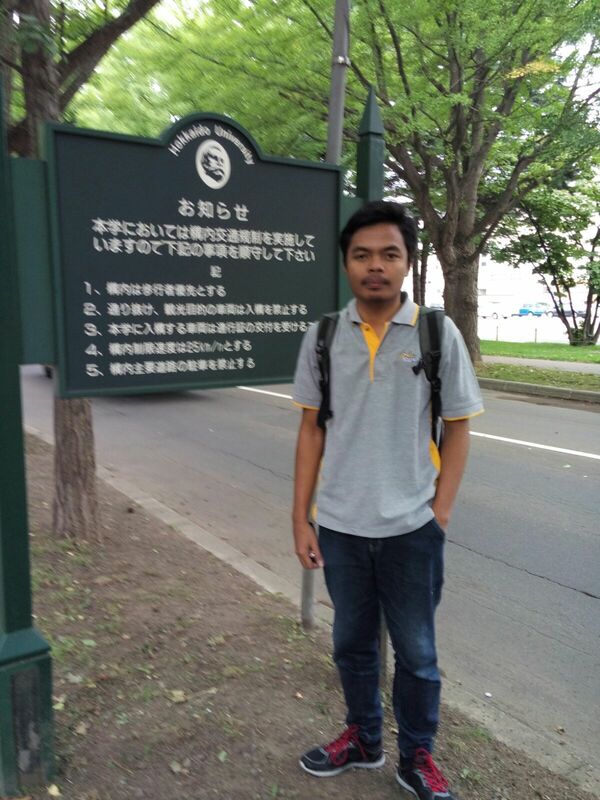 My name is Warsono El Kiyat, you can call me “Ano”, a master student from Bogor Agricultural Univeristy (IPB, Indonesia). I am a “Hokudaisai” who is studying in Laboratory of Biochemistry at Research Faculty of Agriculture, with Mori sensei for 6 months. In this article, I will tell you about my first day in Japan. So, let you continue this reading :D hahaha . One word that can be said for Japan, is "cool". Although Japan has four seasons, I think all seasons always cool. Either winter, spring, summer or autumn, Japan is so cool for me, I think. In contrast to Indonesia, which only has two seasons, and both of them are equally hot :D hahaha. In the first day, after I arrived in Chitose Airport, I was picked up by my supporter, Hirohiko-san. 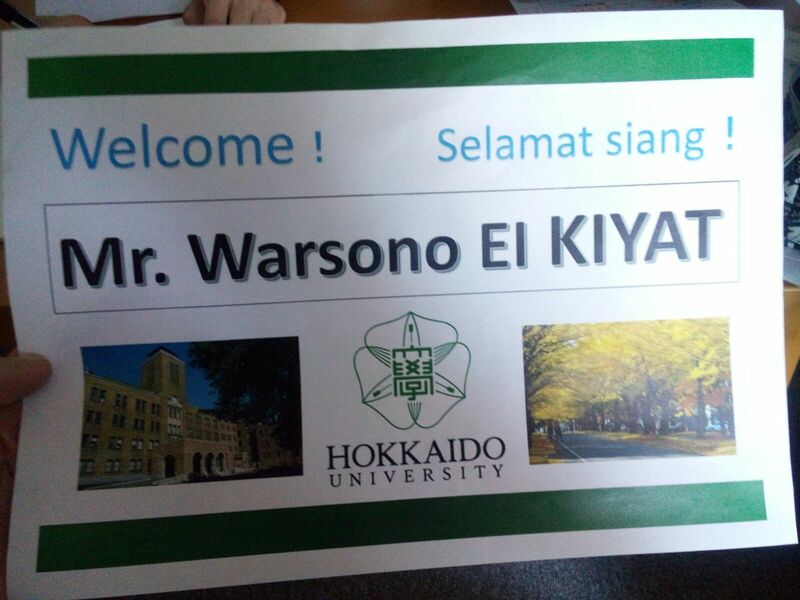 He made a paper containing the greeting “Welcome Mr. Warsono El Kiyat! ; Selamat Siang!” inside. It is unusual for me because I have never yet got this moment, and I felt like a guest star who is invited to show the concert :D hahahah. Since then, I have learned that Japanese peoples are very kind and friendly towards their guests. In the night, I join with my friends for dinner at japanese restaurant in JR Station. Even some of dinner members didn’t take a meal, we enjoyed it. That was the first opportunity of us to tell each other and familiarize ourselves. 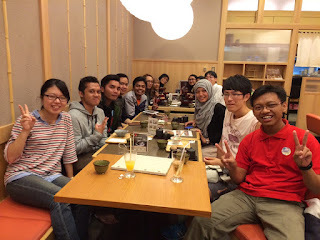 We are the participants of PARE Summer School 2015, Hokkaido University. I hope, we can meet again at another time. 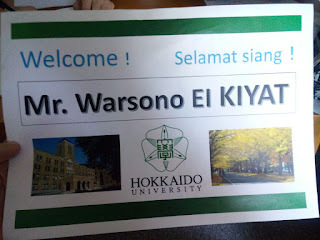 See you all :D :D :D.
This entry was posted in Hokkaido University, Hokudaisai, Warsono El Kiyat . Bookmark the permalink.